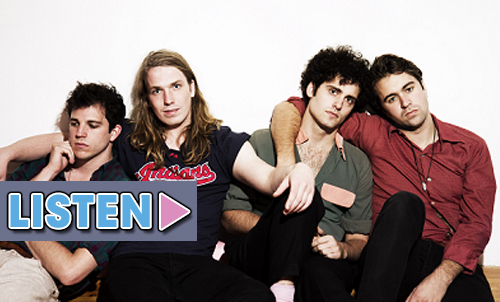 In true Vaccines fashion, “Tiger Blood” is light-hearted, fast paced, and utterly catchy. By the request of Hammond, he and the U.K. band recorded the track in upstate New York last summer in just 48 hours! Vaccines front man, Justin Young has expressed a pointed interest in expanding the band’s sound through the collaborations with other artists who share their vision. Perhaps “Tiger Blood” could be just the tip of The Vaccines collaborative iceberg. “Tiger Blood” will be released as a double A-side single with the album track “Wetsuit” on December 4.